As things continue to fall apart with Israel and Judah – we reach what I consider my two favorite chapters in the Bible… 1 Kings 18-19. For the first time we are introduced to the Prophets. These are mouth pieces of God which He is starting to use to attempt to call His people back to Him. It should have been a sign to the people that things were going badly – yet instead we will watch them ignore, reject, and even kill these prophets. As the evil king Ahab rules in the northern section of Israel (along with his just-as-evil wife Jezebel) – we see the prophet Elijah come onto the scene. Judging by Ahab’s reaction the Elijah – the two of them were well acquainted. (Elijah wasn’t the first prophet – because we see that Obediah had hid and fed 100 prophets in a cave). Still – it quickly becomes apparent that Elijah is well-known and greatly feared due to the demonstrations of power that accompanied his oracles from the Lord. Also quite obvious is the further descent of God’s people into outright sin and rebellion. The numerous evil kings had done a number on the Israelites – leading them into idol worship and a complete rejection of God’s law. By the time Elijah comes on the scene – Ahab had become king of Israel – taken a foreign wife – committed himself to walking in the same sinful ways as his father – and established the worship of the false-god Baal in the land. In 1 Kings 18 we see a mighty confrontation between Elijah and 450 prophets of Baal. On Mt. Carmel they set up the showdown – where both God and Baal are called upon to send down fire and consume an altar. 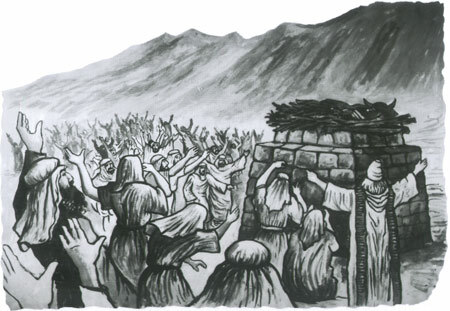 Elijah makes fun as the prophets of Baal go first – stirring themselves into a frenzy in an effort to get this false-god to answer them. “Maybe he is using the bathroom?” Elijah quips! After a full day of this nonsense – Elijah has them pour water upon the sacrifice to soak it thoroughly – and then with a simple 63-word prayer – God responds and totally incinerates the entire sacrifice, water, and altar. The result of this demonstration is that all of the 450 prophets of Baal are killed – which does very little to endear Ahab/Jezebel to Elijah. In 1 Kings 19 we see Elijah get a report from Jezebel that she is looking to kill him in retaliation. Instead of inquiring of the Lord in what to do – Elijah the Tishbite – Prophet of God… runs. He runs all day to get away from Jezebel. In the end he runs all the way to Mount Horeb (180 miles) – only to have God ask him why he was there in the first place. God turns him right around and send him north (back the way he had just run from) to continue the mission God had for him. To me – these two chapters present a beautiful juxtaposition. In chapter 18 we see this mighty prophet of God stand in showdown against 450 false-prophets in a mighty display of God’s power. Then right after that in chapter 19 this same man of God reveals just how human he really is by running from a lone woman. He is tired – frustration – and in despair… wanting to quit… yet God simply loves him – feeds him – lets him run a bit – and then gently corrects his panic-filled perspective. There are days I feel like the Elijah of Chapter 18… and there are days I feel like the Elijah of Chapter 19. I’m so grateful that God understands both – and graciously walks me through it – lovingly standing me back up and leading me along in His plan. (If interested… check out this video of a great song rendition of the showdown in 1 Kings 18). So the nation has divided. How disheartening it is to watch God’s chosen people – the 12 Tribes of Israel – begin with such hope and promise, overcome the many obstacles that King David faced, only to fall into sin and rebellion and end up divided 10-2. But that is exactly what happened in history. (Many of the conquests we will read about in the books of Kings and Chronicles are detailed in other national writings such as those of the Egyptian Pharaohs and the Babylonians/Assyrians). After David – his son Solomon began witch such promise. But 1000 foreign women in his life led to him turning his back on God and rejecting the Promise. From Solomon things go from bad to worse. His sons – Rehoboam and Jeroboam end up at each others throats and the once peaceful and prosperous nation set up by David and established under Solomon has digressed into two step-children at constant war with each other and their opportunistic neighbors. We now are entering into a tedious time of Israeli Monarchs. 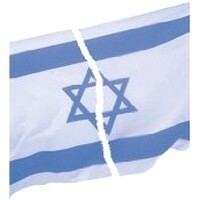 For the next 260 years the (now divided) nation of Israel will experience heartache and bloodshed. Although the occasional king will arise who will obey the Lord and make attempts to reform the sin-plagued nation… most will be indifferent to the ways of God – leading the people into rebellion and idolatry. The evil kings will be numerous and depressing. Mostly coming from the northern 10 tribes (with a few in southern Judah) – they continued to lead God’s people in a spiral of sin which eventually led to their complete destruction by the enemy. Buckle up my friends… it’s going to be a bumpy ride! As we have read – have you noticed God’s heart throughout the history? In Genesis – God creates – and longs to dwell in the garden, among his creation. In Exodus God instructs Moses to build a tent for Him to live in among His creation. Now, God is ready for a more permanent place to dwell among His creation. That has always been God’s heart… to be with us. So first David – the mighty King of Israel – has the desire to build God a permanent house. But God tells him that he cannot because he had a different purpose. David was a man of conquest – a man of blood. (1 Chron 22:8). But Solomon (David’s son) would have a different purpose. He would be a man of wisdom and peace. It would be Solomon’s responsibility to build God a house. So in 1 Kings 6 we see that happen. David has brought peace to the region – and his son Solomon seals the deal to usher in a time of peace & prosperity for God’s people. So Solomon calls upon an the son of an old friend of his father – King Hiram of Tyre. Tyre is famous for their cedar trees. (Conquering enemies for generations would use these famous trees for the masts to their ships because they were straight and tall… and although scarce today – these trees still grow on the mountains of Lebanon). Solomon employs 150,000 men to cut and transport both wood and stone from the mountains of Tyre, for the payment of food. The foundation for the Temple is laid on Mount Moriah (remember Abraham and his son Isaac… coincidence?). The huge trees and stones were cut and shaped in Tyre – to ensure no tool sounds were heard at the actual Temple site (1 Kings 6:7). These shaped cedars and stones were carried westward from the mountains in Tyre to the coast, where they were loaded onto rafts and transported southward to Joppa. From there they were carried 40 miles inland into Jerusalem. No small feat! To make this even more amazing… one must understand the size of the typical stones that were hewn from the Tyre quarries. 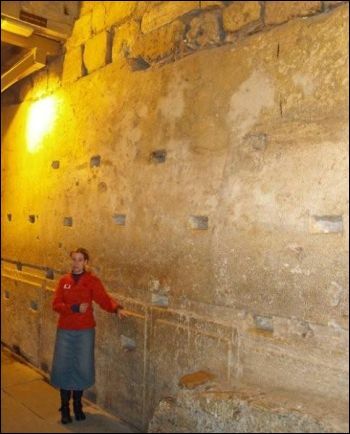 While most of the stones were destroyed by Nebuchadnezzar II in 587 BCE – there are still some of the original stones that Herod used to rebuild it under the same methods. The biggest of these stones is measured at 38 ‘ 9” long and weighs about 100 tons! (Pictured above). To move those massive blocks across that distance is almost hard to imagine for the technology back then – but that is how it was done. (Today one can still see the chisel marks from the original cutters – showing how they were cut and by whom). The entire project took 7 years to complete – and once finished it was marveled as one of the Wonders of the World! No Temple could compete with it’s massive size – beautiful wood engravings – and golden veneer. Solomon spared no expense to glorify his Lord. God had spoken a word to David years before – that his family lineage would never fail to sit upon the throne of Israel and that He would dwell among them and never leave them… but that promise was based upon their continued obedience to His ways. This promise is repeated to Solomon – and yet, as we shall see, Solomon rebels against the Lord – ushering in destruction from the north and causing God to withdraw from His people… leading to the eventual division of the nation of Israel. As the books of 1-2 Samuel pass into the books of the Kings – we see as well the life/reign of King David pass into the life/reign of his son Solomon. 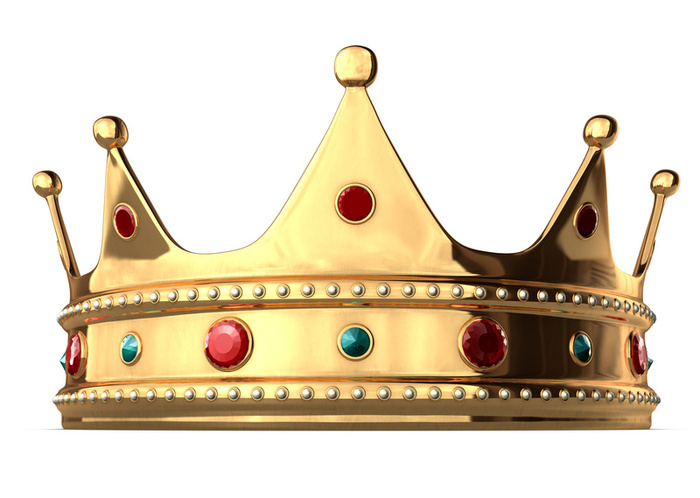 As in Samuel – 1 & 2 Kings was originally one book entitled “kings” in the Hebrew Scriptures. It wasn’t until the 3rd century BCE. that the book of Kings was divided into 2 books during the translation from Hebrew into Greek in the Septuagint. The records we find in these books were probably taken from the writings of scribe and prophets – whose duty it was the record the events of the royal thrones they served under at the time. Although there are some disagreements – most scholars believe these court records were combined into this collection by the prophets Isaiah and Jeremiah around the 7th century. The books of 1 & 2 kings follows the content as it’s name suggests. It begins with the death of King David – follows the life and reign of his son, Solomon – then continues through the kings of both Israel & Judah (after the kingdom divided) – ending with the invasion by Nebuchadnezzar and the removal of the Israelites into captivity in Babylon (a total period of 413 years). Along with the intrigue of easily verifiable historical accounts within the scroll of Kings – we see several interesting beginnings and endings which seem to wrap up this section into a nice package. For example: the books begin with a record concerning King David (representative of the righteous Messiah) and ends with a record concerning the King of Babylon (representative of Satan). As well – the books open with the building of the Temple of the Lord by Solomon – and close with it’s destruction by the Babylonians in 586 BCE. All of what we will read in these books reflects the devastation int eh lives of God’s chosen people due to their rebellion and sin. Their continued choice to ignore God’s laws and rebel against Him in sin was the direct cause tot he devastation throughout the countless generations we will follow. It will be apparent (as we read) that God is patient and merciful – tenderly longing for His people to return to Him and follow His way of life… even sending prophets to warn and implore them in this! King David – with all of his faults – was still a man who loved God and did his best to obey Him in all things. He was recorded as a man blessed by the Lord and a righteous king. It is through his ancestral line that the future Messiah would come – and so David would forever be revered by the nation of Israel as the greatest king of their people. For us – David represents all of humanity in our weakness – as well as the powerful love God has for us. David was quick to repent when wrong – and God was just as quick to forgive.